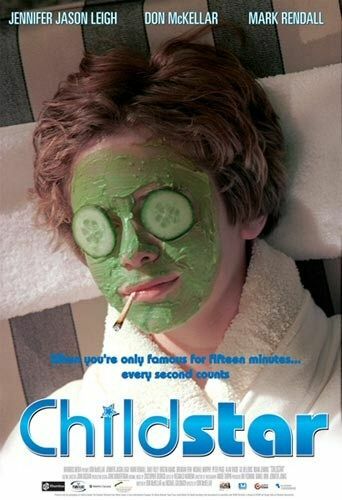 Childstar is a comedy written by Michael Goldbach and Don McKellar and directed by McKellar, who also stars in it. It premiered at the Toronto International Film Festival in September 2004 and was released on DVD in region 1 in September 2004. It won the DGC Team Award for Outstanding Team Achievement in a Feature Film from the Directors Guild of Canada. Taylor Brandon Burns, a conflicted twelve-year-old TV star from the U.S., runs away from the set – and his problems – while shooting a big-budget film in Canada. His reluctant limo-driver, Rick Schiller, a down-on-his-luck indie filmmaker, is enlisted to find Taylor before the childstar destroys himself. Eric appears in a couple of scenes as the kid’s dad. Where did the idea for Childstar come from? Who do you have in the cast? We have Jennifer Jason Leigh, who plays the mother. I worked with her before on eXistenZ, and she said she wanted to work with me again. So I took her at her word and called her up for a cameo in the second season of Twitch City. She also agreed to do Childstar. We have Dave Foley as the film’s producer who is saddled with this ridiculous production but would rather be making Truffaut films. Eric Stoltz is the father. I cast him because he said in an interview with the National Post that he wanted to be in one of my films. The Post used it as a pull quote: “Stoltz wants to act in a McKellar film.” So I figured, why not? We asked his agent and he agreed. Michael Murphy plays the actor playing the American president. Brendan Fehr plays an older child star who is the Secretary of State in the film. He’s the cautionary tale of the grown-up child star who has been in and out of rehab. Audio and video are reasonable, considering the film must have had a modest budget to work with. Some of the CGI effects (yes) are pretty cheesy, but this is no doubt intentional…it works with the joke. The color palate is reasonable enough, with ghostly blues and greys but vibrant greens and reds, and black levels are acceptable. Get too close to the film and the fidelity of the transfer artifacts somewhat but, overall, it’s a decent presentation. The widescreen format definitely shows off McKellar’s clever and amusing framing techniques, which often form the basis for sight gags. Both a surround and a stereo presentation are available, but there isn’t too much difference between the two, as the rear channels rarely get to stretch their legs beyond some atmospheric environmental noises. Bass response on both tracks is fairly level, a bit on the low side. No subtitles. The single “advertised” feature, a 23-minute “making of” documentary looks like it was made on a home computer, and based on the quality of the transfer, probably was. Still, McKellar is a decent interview subject and makes himself entertaining when on camera, if nothing else. He describes Childstar as a “metaphor for how hard it is to make a movie,” which is a pretty decent summation. As these behind-the-scene things go, it is decent.